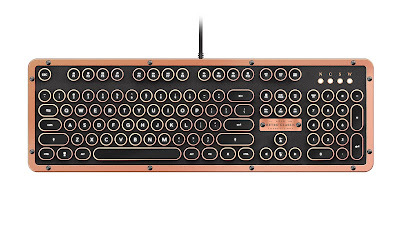 This Black Friday and Cyber Monday, AZIO will offer a 30% off promo code for its new retro, luxury keyboard, the Retro Classic, which is $189 for the USB version and $219 for the Bluetooth version before the deal. Shoppers can enter that code during checkout or use the link (https://aziocorp.shop/ discount/BFCM2017) in which case the code will automatically be applied. This code/link will only work for RETRO CLASSIC Series of keyboards (BT & USB both). Inspired by vintage typewriters and crafted with ultramodern features, the AZIO Retro Classic is the perfect amalgam of past, present, and future. 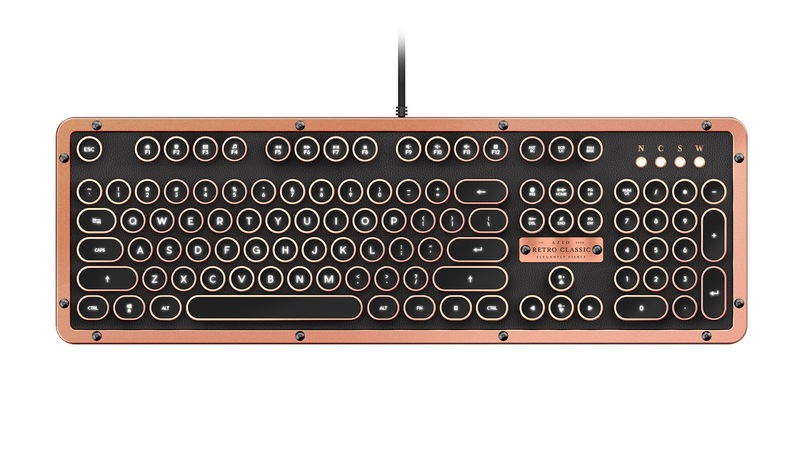 A backlit mechanical keyboard with round keycaps that evoke nostalgia of yesteryear complemented with durable Zinc alloy frame and a sumptuous genuine leather surface. The deal is good from 11/24/17 12:00am to 11/27/17 11:59pm.